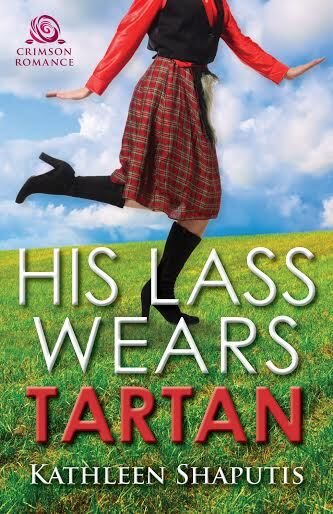 I'm Shelf-ish: His Lass Wears Tartan Book Blast! We're happy to have Kathleen Shaputis and her HIS LASS WEARS TARTAN on the blog today! Please leave a comment to let her know you stopped by! Independent and dedicatedly single, Rogue Bruce enjoys running Castle Baillie with her Aunt Baillie from America. They specialize in romantic Elizabethan-themed weddings, complete with resident ghost, Lord Kai (nothing like a haunted castle to set the mood for love). But love is something Rogue is not the least bit interested in. Content with her work and stable of horses, no man is necessary for her happiness. Matchmaking is in the air, though, focusing on Bruce MacKenzie, a Thor in plaid and jeans from town, and Jonathan Olson, a snobbish Rhett Butler type. With two men after her heart (she’d thought safely locked away), Rogue is torn with confusion. Murder and a psychic yank the soundtrack of Rogue’s life from romantic to scary, while she has choices to make in this sizzling triangle. Why must my bloody underwear be authentic if no one knows or sees it? Seriously, another full day of endless agony in this restrictive Elizabethan costume of layered torture. You know an evil man must have created the corset. No woman would have designed something so miserable and called it fashionable. How many times had she pleaded with Aunt Baillie to let her wear something soft, something comfortable like pants and a jacket? Her aunt’s normally sweet face would transform into a stony glare, forcing Rogue to relent and don one of the many costumes made specifically for her. Rogue could barely breathe in the tightly wrapped bodice as she rounded out of the heated white tent, her eyes on the temporary stone path placed in the soggy Scottish mud. Plowing into something solid, Rogue cursed and frantically reached out, wobbling on the spiked heels. Grabbing at anything, her fingers found soft, crushable flannel before warm, strong hands wrapped around her wrists. Staring at the manly fingers holding her steady, Rogue’s eyes traveled up the long, chiseled arms of a young man to his concerned face, locking eyes with her. His baritone voice tickled her ears, causing the breath to catch in her throat as the heat from his grasp flushed in a wave across her face. All she could handle was a weak nod while staring at his serious face framed with shaggy blond hair, a chill breeze lifting the bangs from his ruddy forehead. His oddly green eyes blinked above a well-freckled nose and broke the spell. Kathleen Shaputis, author/ghostwriter, lives in the glorious Pacific Northwest with her husband, Bob, a clowder of cats and two pompously protective Pomeranians with little social aptitude, Brugh and Bouncer. If not writing, she’s busy reading and watching romantic comedies, her ultimate paradise. 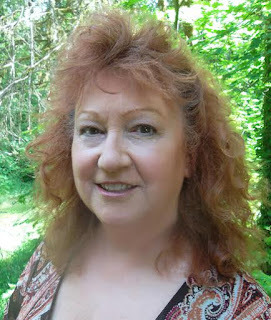 Visit Kathleen’s website or connect with her on Twitter or Facebook. Thank you for the wonderful book blast this morning. With a full moon and the summer solstice, what a magical day indeed!